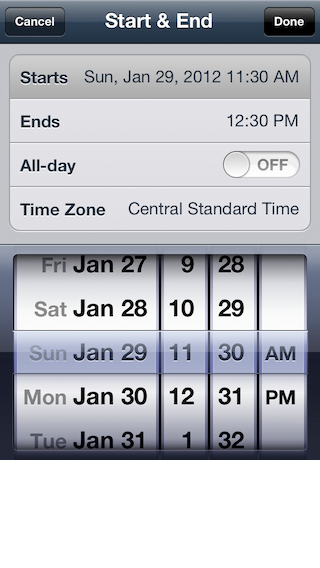 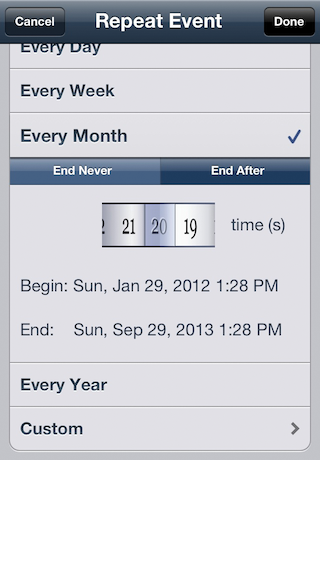 Event Cal was created as an extension of your default calendar event creation experience. 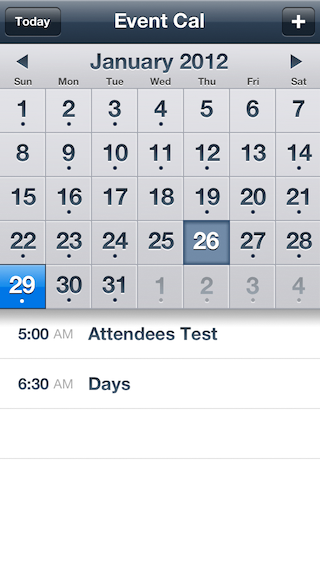 Ever needed to have an event repeat on the third Thursday of every month. 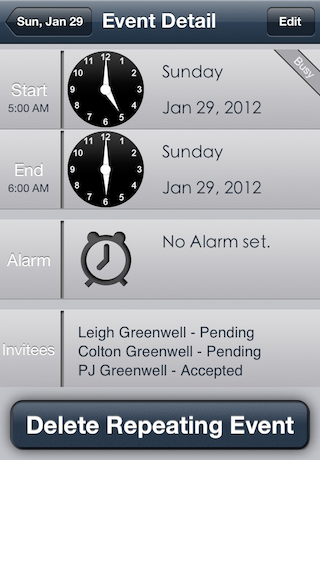 Have a friend or spouse who works a swing shift and you can never remember if they are working or not? 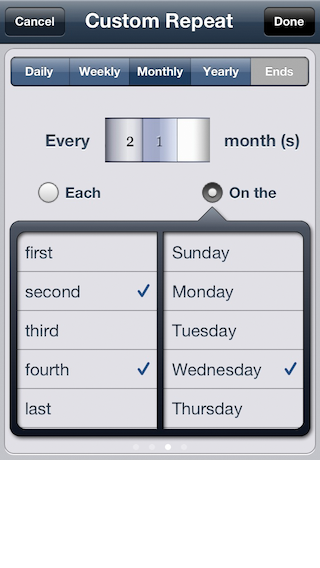 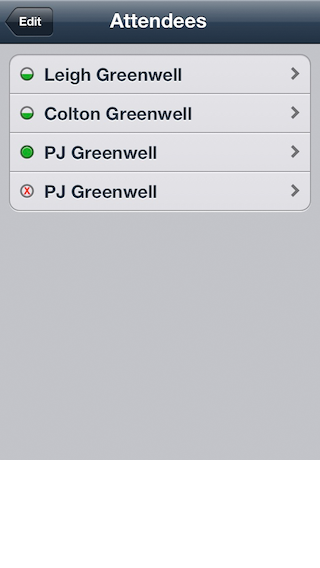 Well, now you can create events that repeat at almost any imaginable interval right on your iOS device. 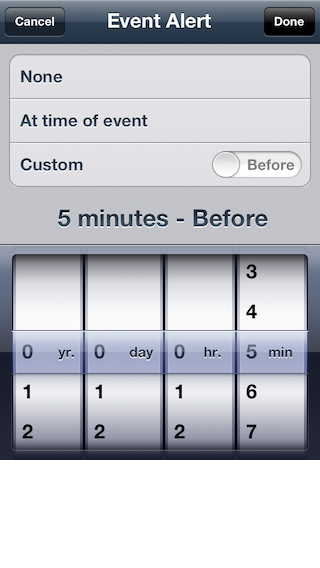 Alarms, both before and after the calendar event, can also be created with many combinations of Minutes, Hours, Days, and Years. 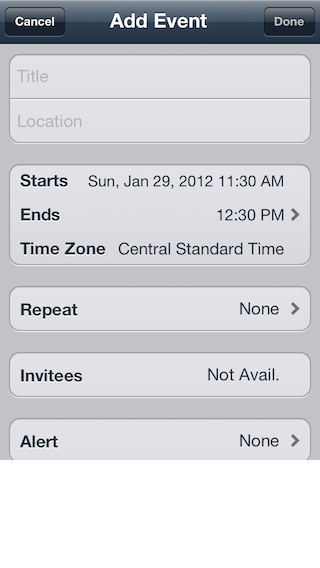 Event Cal has been tested to sync with Microsoft Exchange, iCloud, Google, and Yahoo calendars.